Our self assembly light up letters are great value. 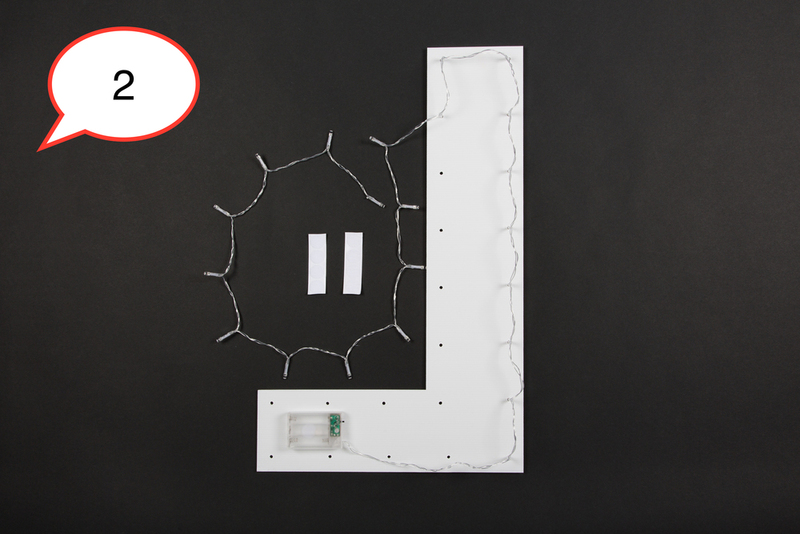 Our flat packed self-assembly letters are the perfect option! 1 - We send you the letters, all the holes are pre-drilled, we also send you the lights and the velcro for the battery packs. 2- All you need to do is pop the led lights through the holes and velcro the battery pack in place! Because we don't have to spend time assembling the letters, we are able to ensure we provide the letters for the best value possible! If you damage any of the wires or the lights, we can send you a new set without having to replace the entire letter. If you decide to change the colour of the lights, you can pop the white ones out and replace them with the colour of your choice. Because they are flat packed, there is less chance of them being damaged in the post. We can dispatch them faster. They are easier to transport and can be assembled quickly and easily at your venue. 1. Starting from the bottom corner of a letter, pop the led lights through the holes. 2. Work your way around the letter until all the holes are filled. 3. Cut the extra lights off by snipping the wire with scissors. 4. Stick the velcro pad to the battery pack and position it on the back of the letter in your desired positions. 5. Add batteries and admire your new sign!